1 Million for Work Flexibility has more than 80 organizations on board to date as part of our coalition—and counting. We’re pleased to share more information about our supporter MomsRising in today’s “Spotlight On…” post. From the name alone, you can tell that MomsRising is a force to be reckoned with—and it is. Over a million members strong (and growing), MomsRising is helping to make crucial policy gains that benefit our economy as well as women, mothers, and families throughout the United States. Established in 2006, MomsRising tackles tough issues such as maternity and paternity leave, health care for all, paid sick days, gun safety, healthy food for children, fair wages, and flexible work. Case in point: MomsRising recently helped guarantee paid sick days for workers in New York City (which gave an additional 1 million New Yorkers access to sick days) as well as in California, Connecticut, Massachusetts, and Oregon and over 20 cities across the country! The organization was also able to help Rhode Island pass paid family leave, making it the third state in the nation to have such legislature. 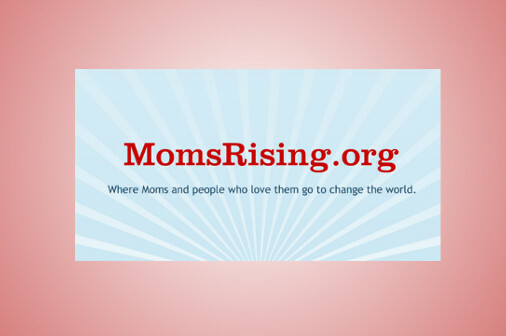 For each of their initiatives, MomsRising has a call to action in which people can sign up to help the cause or simply to make their voice count. With more than 100 aligned organizations working with MomsRising to help end discrimination against women and mothers in the workplace, the organization has a blog community of over 1,200 contributors. It also has an incredibly strong social media outreach of an estimated 3 million people worldwide. One of MomsRising’s major goals is to help build a nation where businesses and families can not only coexist peacefully, but thrive as well. From holding corporations accountable for fair treatment of women and moms to accelerating grassroots efforts on Capitol Hill (and at state capitols across the country), MomsRising is helping to make a difference in the lives of families across the United States.